This Nike Air Presto was the second iteration designed by Off-White founder, Virgil Abloh. Known as the “Polar Opposites Black” edition, they come in a black, white and cone colorway. Sporting a black-based deconstructed upper, white accents on the branding throughout and a small orange square underneath the “Swoosh” logo on the sides. Their release date was July 27th, 2018, where they were available at select Nike Sportswear retailers worldwide. Priced at, $150 they came in men’s sizes, ranging from 4-14 with no half sizes. If you’re a fan of Virgil Abloh’s work and love the Nike Air Presto, you can’t miss out on this pair, (I know I can’t). Those interested can buy these Nike’s online today at StockX. Got a pair to sell? 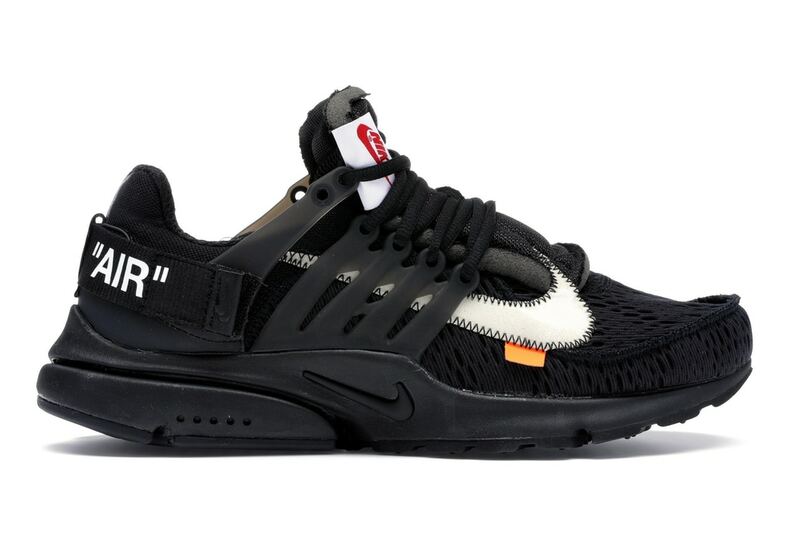 List the Off White Nike Air Presto Black on the StockX marketplace now. @deedee78325939 Hey there, refunds typically take 1-3 business days (Monday-Friday) to process. We appreciate your patience!